There has been a lot of media attention over the past couple of years to one of the latest introduced threats to our native trees. Chalara or ash die back has not spread across the country as rapidly as first predicted but it has slowly been spreading and now it has reached the Island. 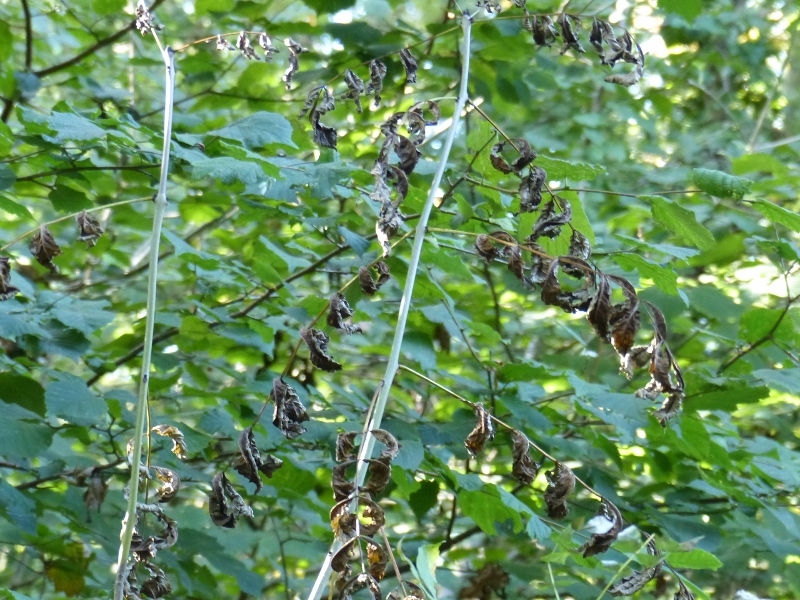 At a recent visit of the Royal Forestry Society to the Island, we were shown the unmistakable evidence of ash die back in Briddlesford Copse. No mature trees seemed to be affected, but recently planted trees outside of the woods, together with natural regeneration within the woods were heavily affected. Subsequently, I found some affected trees in the nearby Combley Great Wood. These are unlikely to be the only cases and we would appreciate hearing of any other instances so that it’s spread can be mapped. Sadly, in coming years, ash die back is likely to become an all too familiar sight.